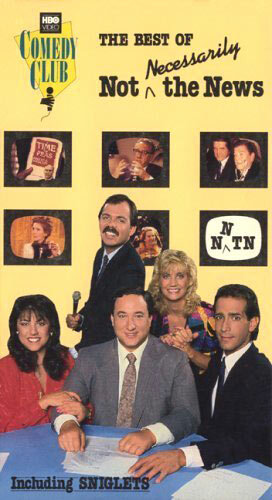 I just miss the HBO show Not Necessarily the News or more popularly known by their acronym; NNTN. The show was a satirical news channel that parodied news stories using actually news footage and mad editing skills. The show poked fun at the Reagan Administration and other prominent political events and figures around their series run (1983 to 1990). One other great thing that came out of that tv series was the Sniglets of Rich Hall. A sniglet is any word that doesn't appear in the dictionary, but should. Here's another neat factoid about NNTN; Talk Show host, Conan O'brien, was a staff writer on the show. Here's a clip I found at Youtube of the show. And speaking of Rich Hall, here's a very popular video of him at Youtube.